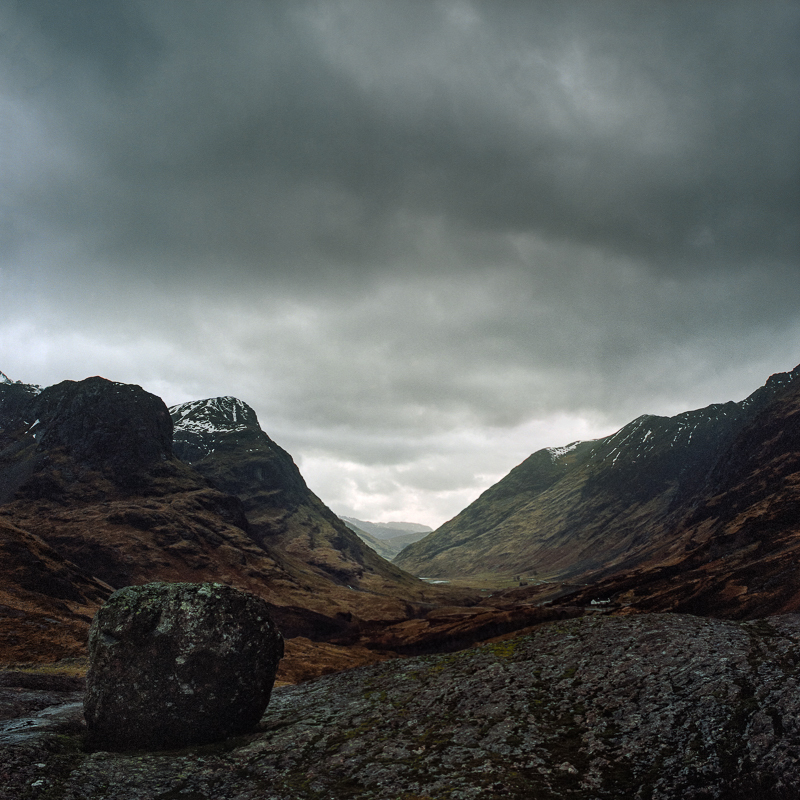 The Study, like most of Glencoe is in the care of the National Trust for Scotland. This location has been used for many films – including (if you are old enough to remember) one of the castles from the film “Highlander”. The name is thought to be based on the Gaelic name for a flat topped rock “Innean a Cheathaich” or Anvil of the Mist. Whilst not quite misty, as darkness drew close, the rain kept falling but stopped briefly to allow me to get my camera out and take this photograph as the sun struggled to shine through the clouds. You can see more from Scotland in this gallery. PS – If you like what you see, please feel free to share or give it some social media love (the icons over on the left). Thanks!